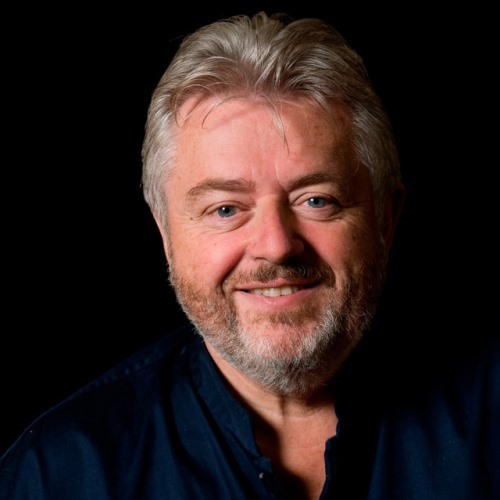 Bill Whelan, (born 22 May 1950 in Limerick, Ireland) is an Irish composer and musician. He is best known for composing a piece for the interval of the 1994 Eurovision Song Contest. The result, Riverdance, was a seven-minute display of traditional Irish dancing that became a full-length stage production and spawned a worldwide craze for Irish dancing and Celtic music and also won him a Grammy. It was released as a single in the UK in 1994, credited to “Bill Whelan and Anúna featuring the RTÉ Concert Orchestra”. It reached number 9 and stayed in the charts for 16 weeks. The album of the same title reached number 31 in the album charts in 1995. His work with Irish traditional music and musicians has occupied much of his time since 1980 when he was a member of the legendaryPlanxty. He also produced records for many folk artists including, Andy Irvine, Patrick Street, Stockton’s Wing, Davy Spillane and the Bulgarian/Irish band, East Wind. In 1987, he wrote his first major orchestral suite commemorating the film music of Seán Ó Riada, which was conducted by Elmer Bernstein and performed by the Irish National Symphony Orchestra. His specially commissioned orchestral work, The Seville Suite, received its European premiere performance at the Maestranza in Seville as part of the celebrations for Ireland’s National Day at Expo ’92. The last movement of this work was danced by Maria Pagés who was later to appear in Riverdance The Show. His next large scale orchestral work, The Spirit Of Mayo, was performed in 1993 by an 85-piece orchestra in Dublin’s National Concert Hall. Together with the choral group Anúna, this piece also featured a powerful Celtic drum corps and a 200 strong choir. His own compositional work in film includes Lamb starring Liam Neeson, the award-winning At The Cinema Palace, the emotive score for the film Some Mother’s Son and Dancing At Lughnasa starring Meryl Streep. In 2007 Bill wrote a brand new score, specially commissioned for the new print of Bob Quinn’s film “Poitín”, originally released (with no music) in 1977 and starring Cyril Cusack, Donal McCann and Niall Toibin. RIVERDANCE Riverdance was composed especially for the interval act of the 1994 Eurovision Song Contest. The original 7 minute orchestral piece conceived for hard-shoe Irish dance was televised to a European audience of 300 million viewers. As a single release, Riverdance spent 18 weeks at No. 1 in the Irish charts and was a Top Ten hit in the UK. Later that year Bill Whelan began to write Riverdance The Show and in February 1995 it had it’s first performance at The Point Theatre in Dublin. Since then it has gone on to play to millions of people world-wide with both the album and video topping the charts around the world. Riverdance Music From The Show is an album of 15 inspired composition’s which marry a rich blend of ethnic influences, such as Russian, Spanish and Irish. The album features stunning performances from some of the finest Irish and International musicians including Eileen Ivers, Rafael Riquini, Nikola Parov and Davy Spillane. Bill was honoured with a 1997 Grammy Award when the Riverdance record was named the ‘Best Musical Show Album’.